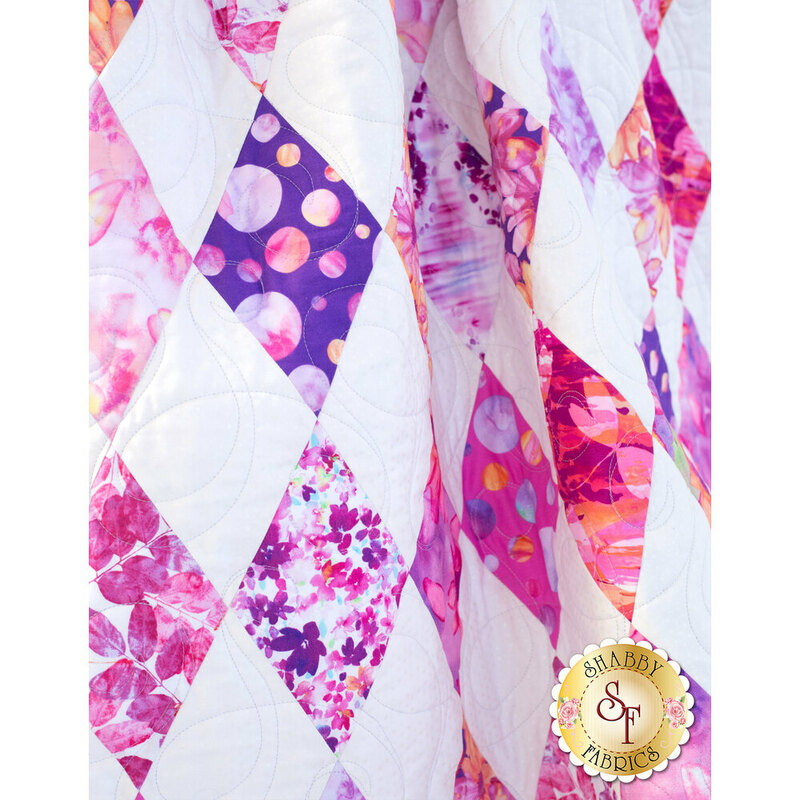 Vibrant color and unique prints combine to create a visual masterpiece in the Diamond Garden Quilt! 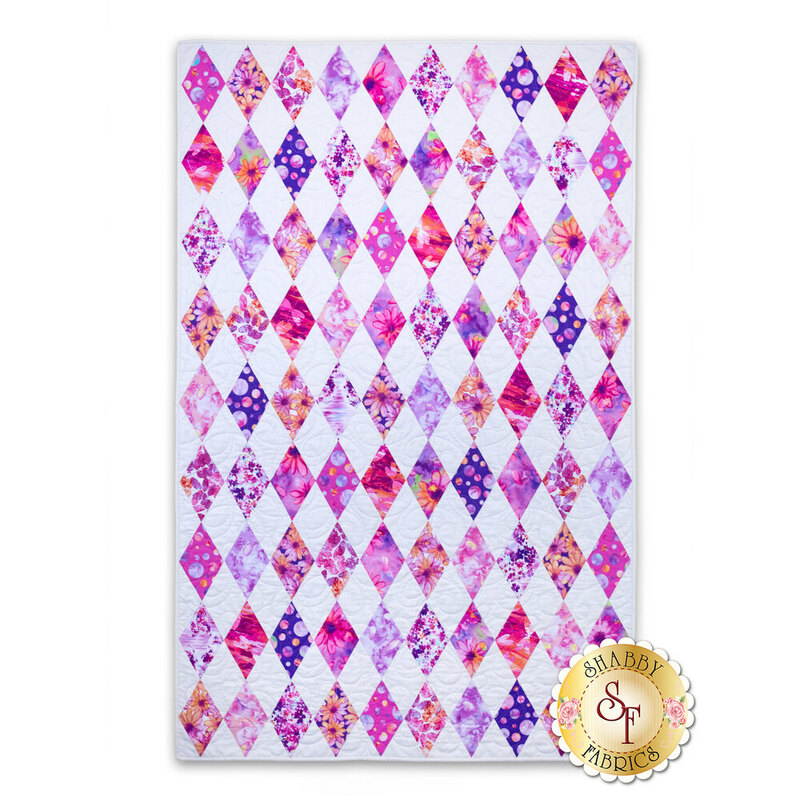 This simple quilt design is achieved quickly with the 60-Degree Diamond Template - just in time to add a bright and eye-catching touch to your summer decor! Quilt measures approximately 45" x 70". One-derful One-Patch Templates - 60 Degree Diamonds & Triangles - Required to complete this quilt!